The prize for my first win has arrived!! 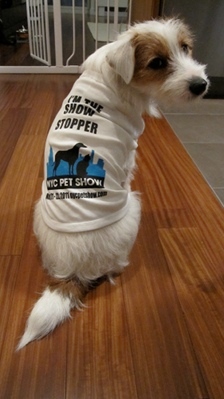 It came with a really cute tee-shirt (and yes, I am definitely the show stopper) and 2 tickets for the NYC Pet Show! This fateful event last year actually fell on the very day I was really sick and thus was unable to enjoy anything. This year, I am definitely going to have the time of my life and of course, tons of treats too!